During the Civil War, both sides had terrible prison camps, but one particular Georgia camp has become synonymous with inhumane treatment. Fort Sumter outside the town of Andersonville housed 30,000 prisoners in a facility designed for 10,000. Union reenactor Mark Stivitz and World War II POW and Andersonville National Historic Site volunteer Bob Windham describe the filthy conditions and wonder how Americans could possibly treat one another like that. 1. Why do armies take prisoners? Couldn't they find other ways of handling the situation? What might be costs of some of these methods? 3. Do you agree with the consequences that the Raiders faced? Why or why not? 1. The National POW Museum described in the video was completed and opened for visitors in 1998. Talk with classmates who have visited the museum to share information about it as well as their reaction to the exhibits they saw. 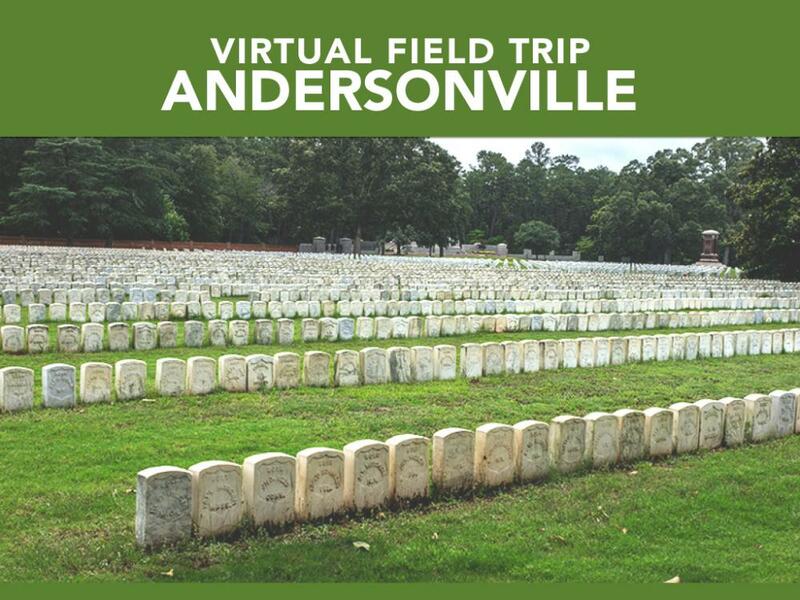 Alternately, explore GPB's Andersonville virtual field trip and discuss the visit with a partner. Answers will vary. Students may mention execution instead of needing to feed and care for prisoners. Although, executing opposing prisoners might mean the same for you own captives! Davis needed more soldiers. He needed the exchange in order to refill his ranks in order to continue the War. The Confederacy was lacking resources: money, men, food, clothing, and armaments. They could barely afford to feed the men they had and relied on the people of the communities and towns to supply all of the above for their soldiers in the field. They could not afford to feed prisoners as well. They needed this exchange of prisoners. 2. Do you agree with the consequences that the Raiders faced? Why? Answers will vary, but students will likely note that instinct to survive is so strong that it trumps loyalties, even strong ones, like nationalism and patriotism. However, students may also point to stealing as an ultimate wrong - or even worse - being a traitor.